Built by Carlos Ott. Opened 2004. The complex contains several halls: Opera House (1581 seats), Concert Hall (604 seats), a multifunctional hall (400 seats) and an open-air theatre (800 seats). 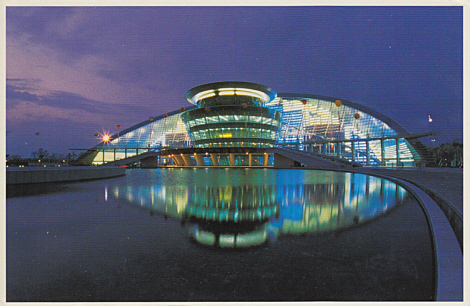 Reverse Text: "Hangzhou Grand Theater"